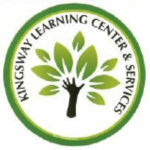 Kingsway Community Services Adult Program will provide individuals over the age of 21 with developmental and intellectual disabilities a blended program consisting of daily enriching activities. Clients will find a wide variety of activities to choose from, such as: community outings, cultural experiences, pre-vocational exploration, and health & wellness opportunities. Consumers will develop daily living skills while fostering self-advocacy and independence through lifelong learning. Participants will find themselves in an environment which will nourish their interests while preserving dignity and respect. For more information, please contact Elizabeth Dalzell at (856) 845-0800.